Digital SLR stands for single lens reflex. It is so called because the SLR cameras use a mirror that is placed behind the lens. A digital SLR differs from a standard digital camera not only in price but also in some other key features that will help you decide which one works for you. 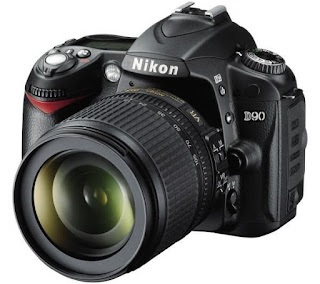 A digital SLR camera has changeable lenses one lens does not suit all purposes in high quality photography. The SLR uses the viewfinder to compose the photo and adjust the focus. You can, thus, get the photo of the original as you see it on the lens. SLR camera allows for a wide range of lenses with different focal lengths. You can change the lens whenever you like. This is what makes the SLR ideal for serious photography. Moreover, the image sensors of the digital SLRs are large and produce high quality photos. Which one the best for you? It all depends upon your needs,If prefer studio photography then image stabilization and color controls should be high priorities. If you take photos, on the fly then image, stabilization is a prime factor for you and perhaps a fast point multi focus if your subject is moving such as wildlife photos, a smaller size is optional but preferable if you are walking around with the camera for longer distances or travelling with it. Night photography requires not only the right lens but also the SLR camera should have a low noise at high ISO settings and image stabilization. Megapixels are a little confusing but consider the more megapixels the larger the file size, if you are printing your photographs in a small size then you may not even see the difference since there are only so many megapixels you can pack into one square inch. On the other hand, if your photographs are going to be larger than the difference in quality between a higher megapixel Digital SLR camera will result in a higher quality print. If you are a serious photographer or a professional or amateur you still want to pick the right camera for your style and the features are what make one Digital SLR camera preferable for one person and very unsuitable for another person’s style and shooting conditions. Its time to make final decision to buy online Digital SLR camera for you, You can compare some digital SLR products, like Digital Nikon, Cannon or Olympus that available in Online store, you can read some review products and review from customers, and find their consideration on buying the product When buying a digital SLR camera online find out what the shipping options are. What happens if it arrives damaged? Can you track your purchase during shipping? Some online merchants offer used models and you should balance the condition of the camera against the savings by buying used as well as the express or implied guarantee. Before investing in a used SLR camera consider the savings against the possible lack of warranty and problems you may encounter. It might be worth the risk and you may find it simply is not a good choice in your case. Happy Shopping!